In 1927 John Banks of Blandinsville opened his first funeral home on Main Street in La Harpe. The Banks Funeral Home was in several places before locating to its permanent spot on East Main Street in the  40 s.
John married Neva Moon in 1928 and the couple had a daughter, Patsy who helped her parents in the family business. Dean Beals of Sullivan, Illinois, graduated from the Southern Illinois University Mortuary Science Department in St. Louis in 1948. 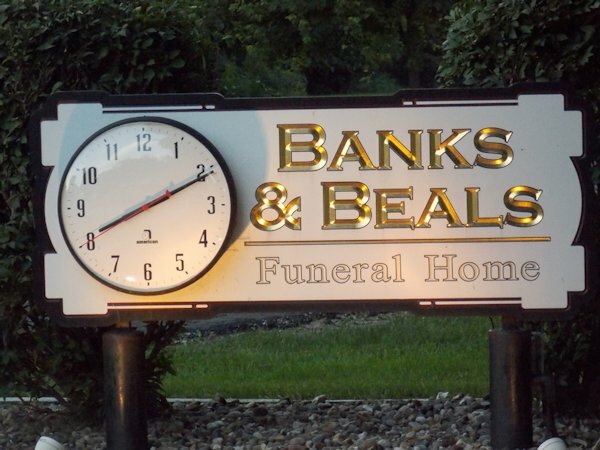 He married Patsy in 1950, and soon after joining the family business, the business was renamed Banks and Beals Funeral Home. Dean and Patsy had 5 children: Kevin, Kris, Kyle (Kyle passed away in 1968), Kimberly and Kendall. John continued to serve the community until his passing in 1962. In 1975, Kevin joined the family business after completing his schooling at Southern Illinois University School of Mortuary Science. In 1977, Kris also joined the business after graduating from Southern Illinois University Mortuary Science Department. The family also owned an ambulance service for 53 years until 1970. In 1978, the business expanded with the purchase of the Fiedler Funeral Homes in Dallas City and Stronghurst. In 1986, Dean passed away, and Kevin and Kris carried on with the family tradition. Kendall Beals graduated from Southern Illinois University Mortuary Science Department and worked for Banks & Beals for several years. In 2000, the family replaced the aging building in Dallas City with a beautiful, new structure on the grounds of the former Riverview Supper Club. 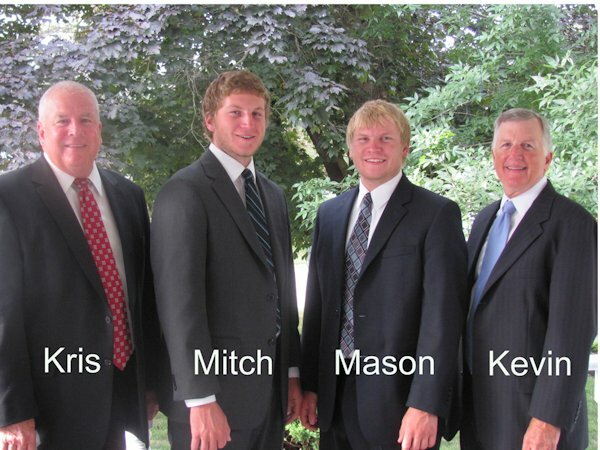 In 2012, the family business expanded another generation with the addition of Kevin and Sherry s son, Mitchell and in 2013 his brother, Mason joined the business as well. Both men graduated from Carl Sandberg College of Mortuary Science in Galesburg. They became the fourth generation in their family to be funeral directors. The family serves the communities well with their compassion, caring staff, extensive knowledge and all around love of their communities and the people in them. Our family serving your family since 1927.